Social security in India is a distant dream for a large majority of the population. With no government support and breakdown of the joint family system, there is no dearth of families that simply fall into the abyss of beggary, or worse, die an unknown death when the primary earning member of the family passes away. This is the story of Kukum and Mahesh and their 3 daughters Soniya, Sapna and Meenu. Kumkum and Mahesh lived their tragic lives and left this world early. Mahesh contracted TB and died in 2008 leaving behind Kumkum to fend for herself and their three girls who were then barely 6, 3 and 2 years of age respectively. Kumkum steeled herself against the fate and took over a nursing job so that she could care for herself and her daughters. But the cruel hands of fate gave her blood cancer which she suffered through finally succumbing to its multiple complications in April 2016 at 40 years of age. 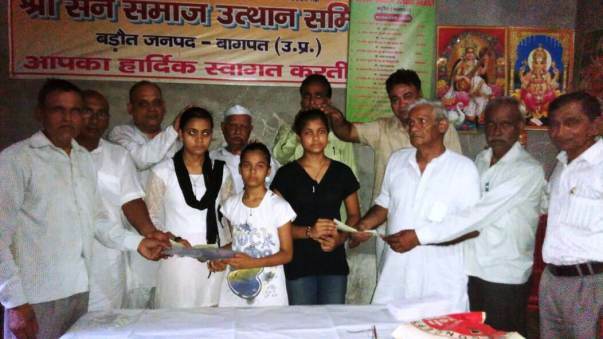 Their grandfather Om Prakash who is 63 years of age is currently taking care for the family. He earns around 3 to 4 thousand per month working part time jobs. Some financial help has come from their relatives and a group of supporters (see link) who helped by providing financial help in times of need. The goal of this campaign is to generate funding for this family's expenses for 1 year. 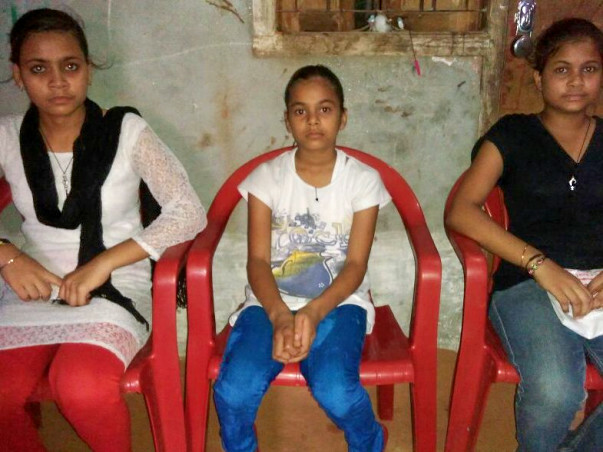 The monthly expenses on food and household expenses amount to INR 10,000 for this family of 4. 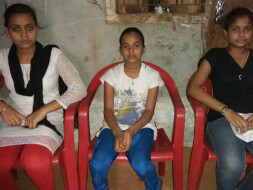 All three girls are studying (Soniya in BA-1, Sapna in grade 10th, and Meenu in grade 8th). The educational expenses of the family amount to around INR 36,000 for the year. 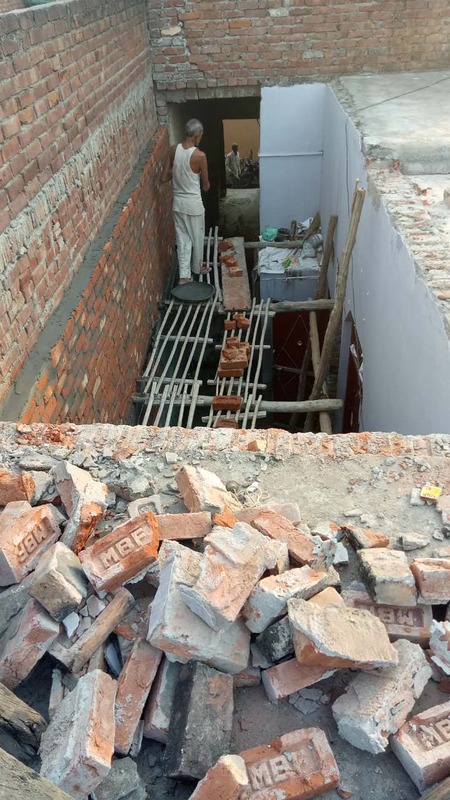 The family owns a small house which is in need of repairs that are estimated to cost around INR 30,000. 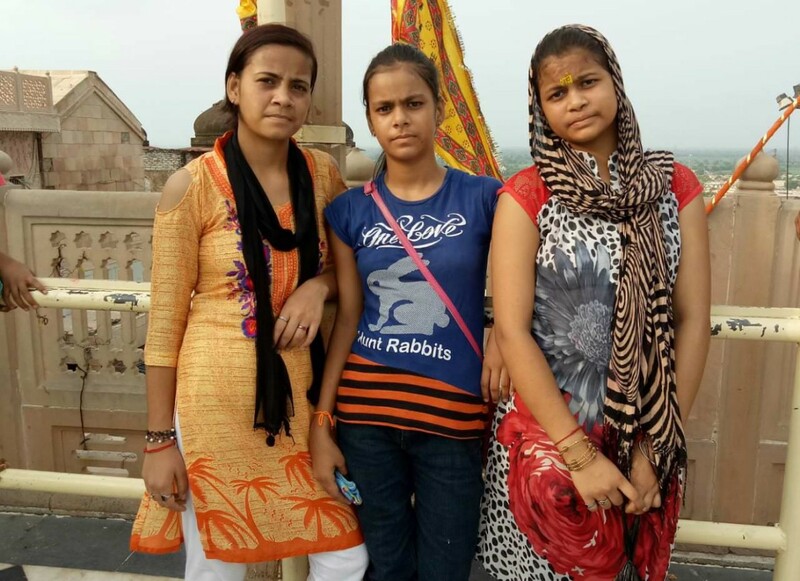 We aim to collect and disburse INR 1,86,000 to the three sisters' uncle's account so that the family can be financially secure for an year. Please donate and encourage others around you to contribute by spreading the message on Social Media. We are happy to update our kind donors that repairs of the house where the 3 sisters live are in progress. 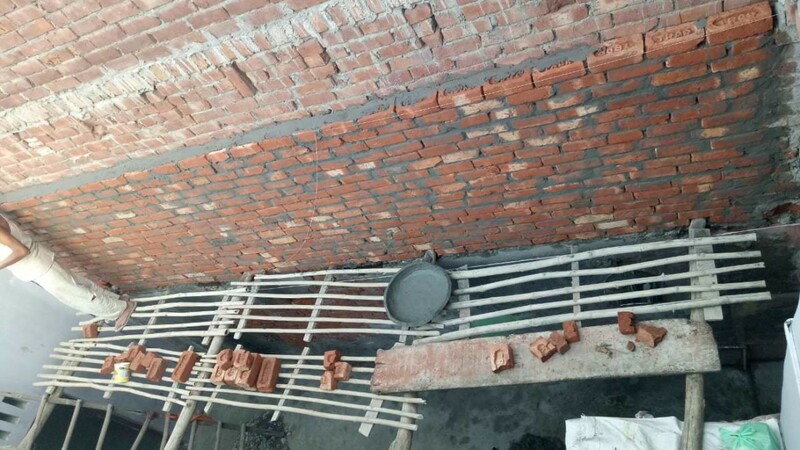 We are sharing video sent by our team of the dilapidated, run-down condition their house was in and a couple of photos of the construction work in progress. Needless to say, the family and all of the volunteers are grateful for the support extended by all of you. Your contributions have helped start the repairs this Navratra and we hope that their house will be all renovated by Deepavali. 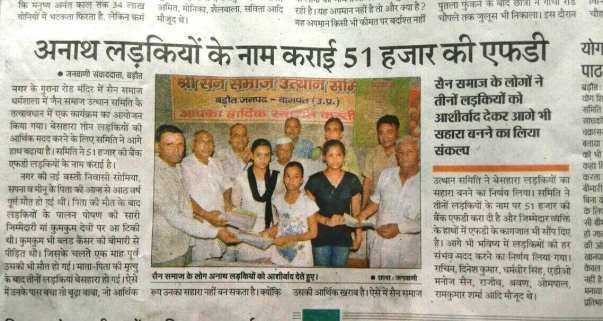 As requested by the kind donors, the disbursements will be made to the eldest daughter Somiya's Bank account which is now active. We are disbursing the USD portion of the contributions today. Of this amount a large portion will be used for repairs and maintenance of the home and the remainder for education and monthly expenses. We plan to hold the INR portion of the total contributions with Milaap and disburse them monthly to the eldest daughter's bank account. I am overwhelmed with the love and support that you have given to my grand daughters. I am glad to inform you that we have paid the due fee amount to the institutes. Presently, the 3 sisters are continuing their education smoothly.